Sony’s new WH-1000XM2 wireless active noise-cancelling (ANC) headphones are among the best noise-cancelling headphones we’ve tested. They go toe-to-toe with Bose’s QC35 and offer some high-tech features Bose can’t touch. Last year at this time, I reviewed Sony’s MDR-1000X active noise-cancelling wireless headphones. I found them to be an excellent overall performer. The new WH-1000XM2 headphones look almost indistinguishable from that model, but bring lots of new technology features and advancements. My WH-1000XM2 review pair came in Sony’s gold tone, though the color looks more like a shade of taupe. The headphones feature a 1.57-inch driver, rated to deliver a frequency response of 4Hz-40kHz in passive or active wired mode. When you kick over to Bluetooth, the specs change. Via traditional Bluetooth codecs, the frequency response is rated at 20Hz-20kHz and 20Hz-40kHz when connected to a device compatible with the LDAC high-res streaming codec, which will deliver 96kHz sampling at 990kbps. Don’t read too much into these specs as they aren’t indicative of the headphone’s overall performance. The WH-1000XM2 support a wide range of Bluetooth codecs including SBC, AAC, and aptX. You’ll get high-res streaming via aptX HD and LDAC codecs. Unfortunately, I did not have an LDAC-compatible source on-hand to test Sony’s high-res streaming performance with that codec. I confirmed an aptX connection with a Pioneer XDP-100R high-res DAP, and an aptX HD connection when testing the Sony headphones with the Astell&Kern AK70. The WH-1000XM2 feature NFC pairing over Bluetooth. NFC makes pairing easy, by tapping a compatible NFC device to the headphones. I did just that with Sony’s NWZ-A17 high-res DAP. The two paired instantly. The headphones weigh only 9.7 ounces and have outstanding battery performance. You’ll get nearly 30 hours of continuous play time with noise cancellation on, and up to 38 hours with noise cancellation off. In standby, the headphones are rated to deliver up to 40 hours with noise cancellation on, and up to 200 hours with noise cancellation off. The WH-1000XM2 have a good, tight seal. You’ll certainly feel pressure exerted on the side of your head and the top of the headband. The tight seal helps make these Sony headphones perform as well as passive noise-cancelling headphones. The seal clearly aids in their exceptional ANC performance too. The ear pads are soft, but the imitation leather doesn’t breathe well. My ears got warm (but not hot) and slightly sweaty after extended listening periods. Sony’s active noise cancelling technology optimizes for altitude and atmospheric pressure. The Sonys come with a sturdy and nicely designed slimline hard-shell case; a 4.92-foot 3.5mm cable; and a two-prong airline adapter. The case is very practical. Its color scheme matches the headphone design. You can use the case’s button-strap to secure it to a backpack or hook, and an external stretchable pocket fits all the accessories with ease. There’s an integrated pocket on the inside of the case for the airline adapter. I wish there was a pocket inside the case as well for cables, etc. That would have been the perfect icing on the cake. The headphones rotate, collapse, and fold flat to a compact size. 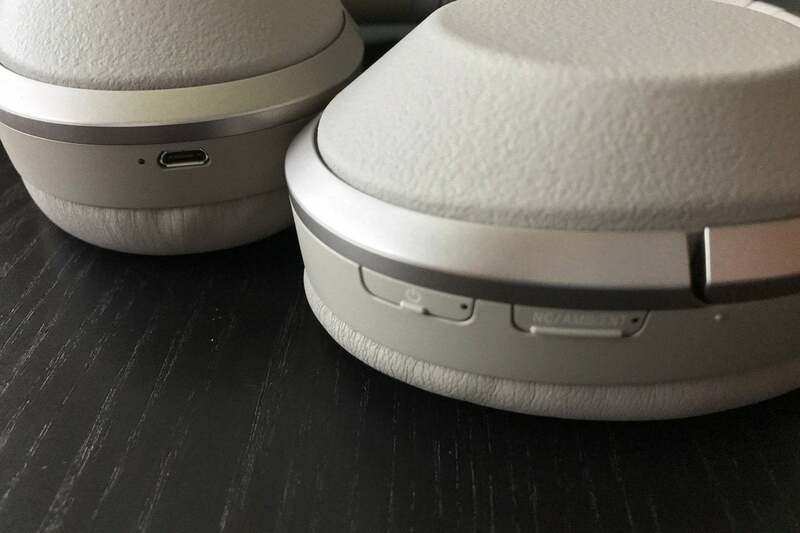 To me, the footprint seems identical to the previous model and goes head to head with the Bose QC35. You can slip the headphones easily into a regular purse, large jacket pocket, or backpack. One of my favorite features of the WH-1000XM2 is the gesture control pad located on the right ear cup. I simply loved it. It was flawless to use and I wasn’t be fumbling around for buttons. Swiping up increased volume while swiping down decreased it. Swiping forward advanced to the next track while swiping towards the back of my head went to the previous one. A brief tone let me know that a gesture had been accepted. The tone doesn’t completely defeat music, which I liked. The gesture control pad works only when the headphones are connected wirelessly. 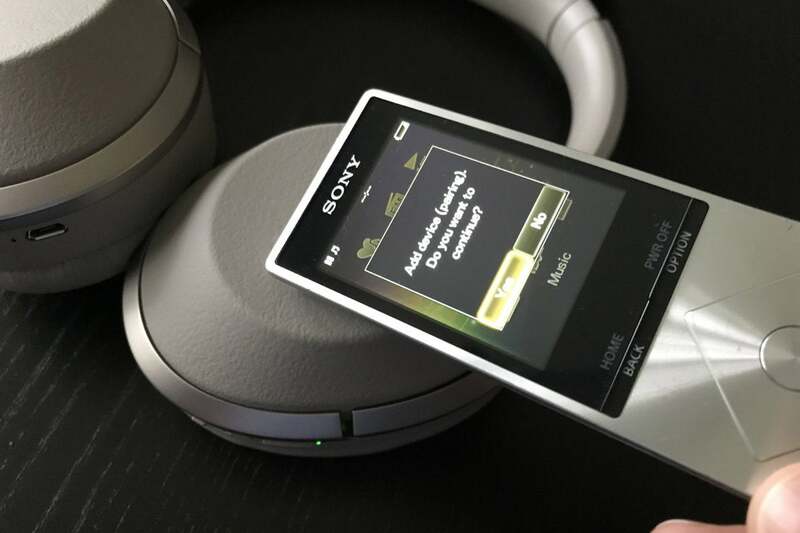 If you have a high-res DAP with an analog volume control (like the Astell&Kern AK70 or Pioneer XDP-100R I was using), you’ll find that you can’t adjust the volume with the gesture pad. Both Apple’s Siri and Google Assistant are supported. To activate either on the WH-1000XM2, simply press and hold on the middle of the right ear cup with one finger for three seconds while connected to your smartphone via Bluetooth. For me, it often took 5 to 6 seconds to get Siri activated—that’s two to three seconds too long. The left ear cup controls power and ambient sound settings, while the right ear cup has a micro-USB port for charging. Holding your hand over the right ear cup engages ambient aware. It’s nearly instantaneous. This is perfect for moments when you want to be aware of your surroundings. In my testing ambient aware was superb. There is significant EQ applied to boost voices. At times, I felt like I was listening to the world around me through a tube. To get the most out of Sony’s WH-1000XM2 headphones, you’ll need to use Sony’s mobile app. The mobile app gives you real-time info on your headphones, including their connection method, battery level, and streaming codec in use. The app will take advantage of a smart-device’s GPS to fine-tune some features. 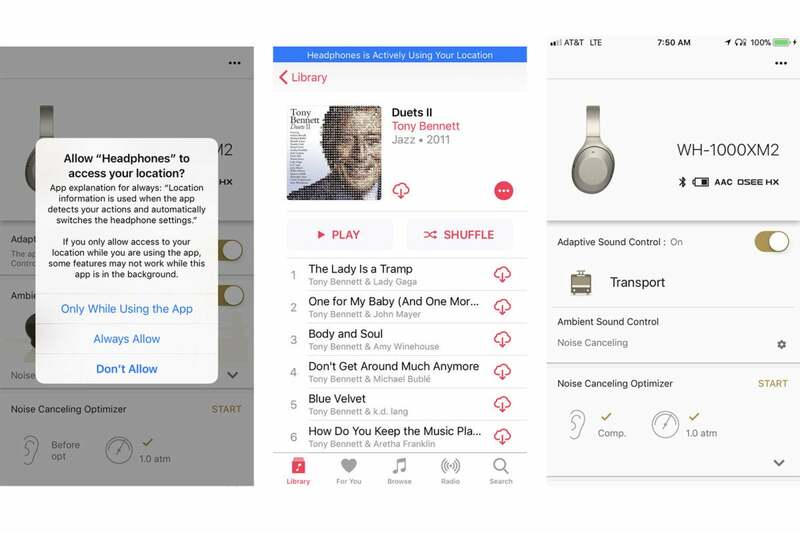 The app is also your command and control center for the headphone’s key features such as adaptive sound control, ambient sound control, noise-cancelling optimization, and more. 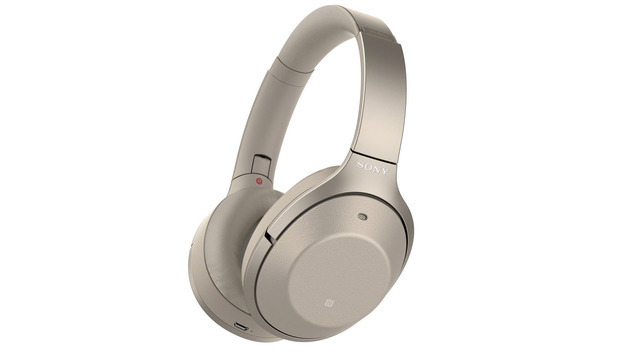 From the app, you can initiate Sony’s noise cancelling optimizer, which measures the unique shape and response of your ears and the atmospheric pressure to tailor the sound of the headphones just for you. You want to redo the optimizer if you change the way you wear the headphones or if the atmospheric pressure changes. If you’re looking at the WH-1000XM2, you’re most certainly doing so because you're looking for a noise-cancelling headphone. 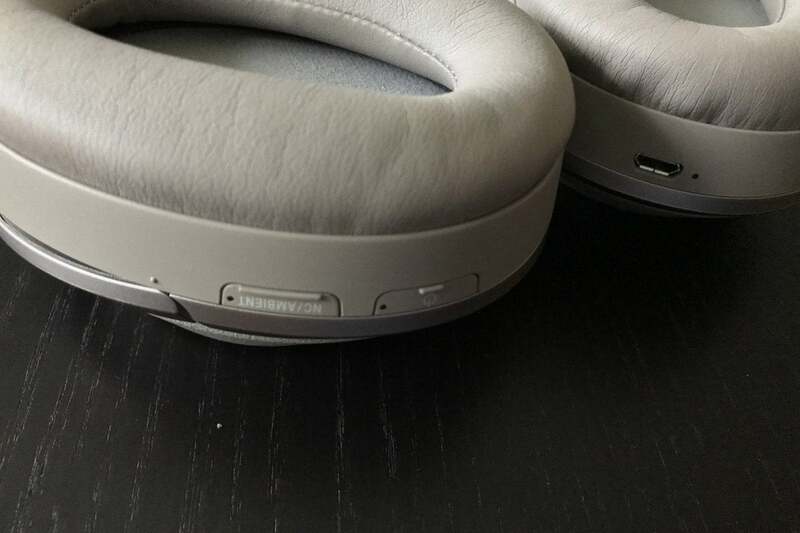 Have no fear, the Sony’s noise cancellation performance remains top notch. In fact, it’s crazy-good. I’ve tested a few ANC headphones recently. Putting on the Sonys for the first time reinforced what a great performer they are compared to the competition. My conclusion is that along with the Bose QC35, Sony’s WH-1000XM2 remain among the best noise-cancelling headphones I’ve tested. Sony's app can tap your smartphone's GPS functions to fine-tune some of the headphones' features. I used the Sony WH-1000XM2 in a number of high noise environments–including the NY subway, cars, cafes, and the busy streets of New York. In every case, the Sony’s performance was outstanding. This time around, I didn’t have a chance to test the WH-1000XM2 on an airplane. Nevertheless, I expect them to remain a superior performer. But, my hunch tells me that Bose’s QC35 still have a slight edge in that regard as they did when I directly compared the Sony’s MDR-1000X to the Bose QC35 on airplane trips. You can activate noise cancellation in either wired or wireless modes. The pressure applied by the headband ensures that the headphone’s seal and ANC bubble isn’t easily broken by talking, eating, or other movements. Ironically though, aggressive bumps while riding the train gave the WH-1000XM2 some problems, breaking the bubble of silence for a fraction of a second, when adaptive sound control was engaged. If there were a series of successive hard bumps I got a rumbling sound through the headphones. The Sony headphones do exert ANC pressure to your ears, giving you that underwater feeling. If you are overly sensitive to the pressure exerted by ANC headphones, then you might want to consider the AKG N60 Wireless instead. The WH-1000XM2 also have a higher level of ANC hiss, which raises their noise floor. Unless you’re in a quiet environment, it won’t be an issue for most users. To me, the battleground for noise cancelling headphones is going to be headphones that not only block sound out, but also allow sound in when you need them to. That’s exactly where Sony’s ambient sound and adaptive sound control technology comes in. The included accessories include everything you need for road and the air. It’s a very slick feature and, for the most part, works as advertised. Sony’s Adaptive Sound Control automatically detects your activity and environment and then changes the ambient sound setting to match. For example, when I turned this feature on in the New York subway, the headphones went into active noise-cancelling mode. The moment I exited the subway and started walking up the stairs, the headphones automatically switched to the ambient aware walking mode. In this mode, I could hear voices and my surroundings. The instant I reached my destination and stopped walking, the headphones went right back to their active noise-cancelling mode, blocking out the world. As slick as this feature is, it’s not without its occasional quirks and it doesn’t always anticipate your preference. Sitting in a restaurant, for example, the ambient-aware mode kicked in unexpectedly when there were conversations all around me. This also happened to me when I was riding the subway and a few other situations as well. When enabled, the feature seems keyed to react to certain ambient noise cues. All in all, the feature works very well but isn’t 100-perfect perfect. Sony’s MDR-1000X had vastly different sound signatures between passive mode and active (with noise cancellation engaged). Unfortunately, that discrepancy hasn’t changed with the WH-1000XM2. You’ll get the best acoustical performance with the headphones powered on. And the difference isn’t subtle. When I played the WH-1000XM2 as a traditional wired headphone, the sound was thick, dark, and the midrange muddy. The top end lacked any sense of delicacy and airiness. And the bottom end? It lacked the definition and control I expect. I had the same experience on an iPhone 7, Astell&Kern AK70, and Pioneer XDP-100R. Playing Hans Zimmer’s 24-bit/192-kHz FLAC version of “Imagine the Fire” from The Dark Knight Rises soundtrack was case in point. Zimmer’s deep, rolling synthesizer notes were sloppy and malformed. Drum beats were dull thuds. Overall the sound was like listening to a performance in a cardboard box. Turning the headphones on was a complete transformation. Bass tightened nicely, the midrange and dimensionality of the sound stage opened up significantly, and the top end regained some luster. Simply put, the headphones sound far more balanced and natural when turned on and played as an active pair of headphones. Sony’s WH-1000XM2 wireless ANC headphones are nothing short of exceptional. Sony’s ANC technology remains among the best I’ve tested and can toe-to-toe with the Bose QC35. However, it’s Sony’s rich, on-board technology features that really set this headphone apart from the competition. 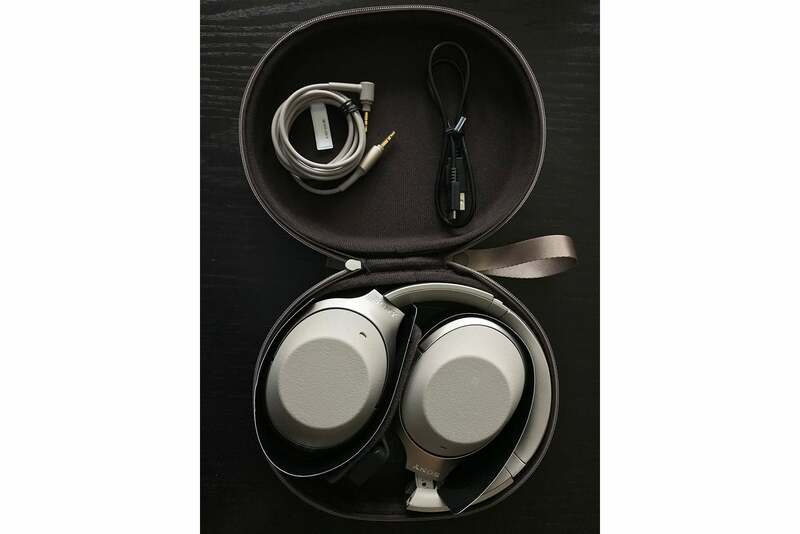 With an adaptive sound control features that automatically tailors the headphone’s performance to your surrounding; a noise canceling optimizer that takes into account the unique shape of your ear and atmospheric pressure; and other high tech features, you can’t go wrong. My biggest beef and the only major downside with the WH-1000XM2 is their sub-par passive audio performance. Looking at the total package one could seriously argue that Sony’s WH-1000XM2 headphones have finally dethroned Bose’s QC35 as today’s top ANC headphone solution. Highly recommended.